Unibet Mobile Casino App Reviewed - Unibet Casino Tested on iPhone and Android - How Did It Compare? Unibet first appeared in 1998, initially as telephone betting company, although they moved into online betting within a year. The company has grown over the years and this has seem them diversify their product, moving into other gambling areas such as bingo, poker and casino gaming. In this review I start by detailing how you’ll get started playing casino games on the go. I then take a look at the mobile site as well as the three Apps available at Unibet, detailing the devices you’ll be able to use and the games available on each. I finish with an overview of the Unibet Casino range. If you’re not a member of Unibet already, head to the website and register – this is simply a case of filling out a form with your basic details. Then head to the mobile tab on the website and it’s here where you’ll find details about either playing directly at the site or regarding playing using an App. Perhaps the easiest option is to play within the browser of your mobile device. Simply head to the browser of your mobile device and you’ll find a good range of casino games. These can be played on both a phone and a tablet, and are available for Apple, Android and many other devices. 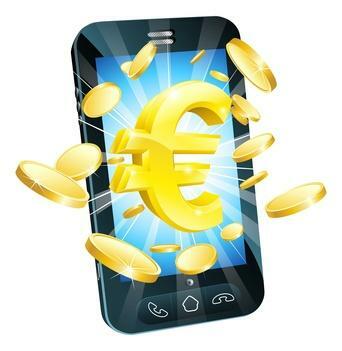 You’ll find three separate apps within the Unibet casino, each offering extra special features. Firstly there is the Casino App itself, featuring a wide range of all popular casino games. Secondly there is the Spin City casino app, featuring classic table games and a wide range of slots. Finally there is the live casino app, where you’ll be able to enjoy the Live Dealer casino at Unibet. The general casino App is only available on an iPad – you’ll download it by visiting the Apple App store. There are over 100 slots available when playing at this App, which include such favourites as Starburst, Mega Joker and Twin Spin. You’ll also be able to gain that big win at two Jackpot slots – Arabian Knights and Mega Fortune Dreams. Roulette, blackjack, casino hold’em and video poker can also be played on this App. Here you’ll find a link to download the App (real money gambling apps aren’t generally available on the google play store). When the download is complete you might have to allow access to the App through the settings on your device. 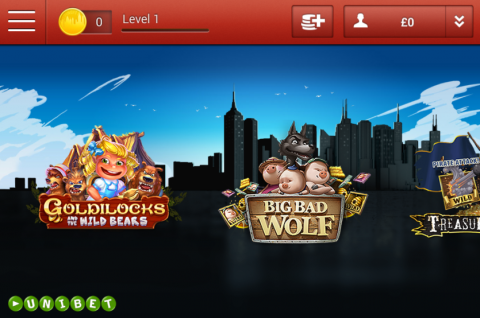 This App features a small selection of games right now, featuring exclusive slots such as Treasure island and Big Bad Wolf and table games including roulette, blackjack and poker dice. This App features the chance to collect trophies as you play as well as earning tokens which can trigger free spins when you play. The Live Dealer Casino App is only available for Apple devices, both the iPhone and the iPad. Four games are featured – Blackjack, Roulette, Baccarat and Casino Hold’em, all the games played at a real life gaming table with a live dealer. These games feature high quality streams and the most lifelike casino experience you can have on the go. One of the best things about Unibet is that you’ll not have a lack of options when playing on a mobile device. Having the option of playing in a browser is never a bad thing, as you’ll require no download and be playing instantly. The Apps at Unibet however are very well designed and there are extras included on the apps as well. This gives players the best of both worlds, meaning Unibet offer one of the most comprehensive range of mobile options you’ll find at an online casino. When joining Unibet casino you’ll be able to take advantage of a £200 welcome bonus to give you a head start at the games. You’ll also find a number of promotions including Thursday Thrills where you can earn a free £5 bet, Wednesday cash drop where you can win a free £5 and Sunday Funday where you can earn 50 free spins at the Gonzo’s Quest slot. Check out www.unibet.com for yourself now!